The original Hager company was founded in 1955 by brothers Hermann and Oswald Hager. It remains a family owned business and the current Managing Director, Daniel Hager (pictured) is supported in key roles by brother Peter and cousin Evie Hager. The company registered as a European Company (Societas Europaea, SE) in 1993 emphasising its European roots but is ostensibly a worldwide business employing over 11,400 staff and generating a turnover of 1.9 billion euros in 2017. 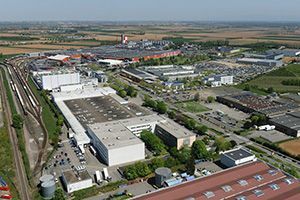 Its head office is in Blieskastel, Germany, whilst the main production facility is in Obernai France (pictured), where most devices designed for the European market are produced. 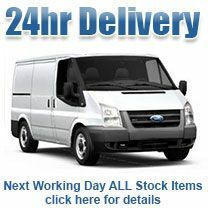 The factory uses an impressive level of automation and full testing of every device is undertaken on site. The company has 23 other production sites around the world and serves customers in 120 countries. The family also own the Hôtel À La Cour d'Alsace in Obernai which is open to the public and used by guests of the Hager family. 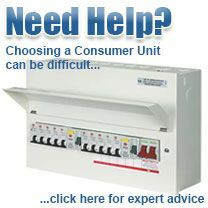 Whilst Hager offers a diverse product portfolio, including energy distribution, cable management, wiring accessories, building automation and security systems, it is best known in the UK for its circuit protection gear - and more specifically its domestic consumer units. Employing over 800 staff in the specific area of research and development, Hager remains at the very forefront of technical innovation - a trait that has driven its success and company ethos since 1955. At time of writing, Hager has over 3000 active patents worldwide. Further to this, Hager are extremely active in sharing knowledge. As far back as 1966, when Hager launched training courses for electricians in Germany, the company has led the industry and currently offers 30,000 face to face and e-learning training courses. 1955: Hager Group was founded by Hermann Hager, Dr. Oswald Hager and Peter Hager. 1956: Hager invents the first rotary fuse carrier and is patented in both Germany and France. 1963: Hager presents the 'HKS' plastic enclosure at the Hannover Fair. 1969: The rotary fuse carrier invented by Hager is patented in Germany and one year later in France. 1970: Hager launches the rotary fuse-carrier and brings with it a new generation of consumer units. 1974: Hager announces the launch of the first modular system in France. 1976: Hager announces the launch of the 'Gamma' series. 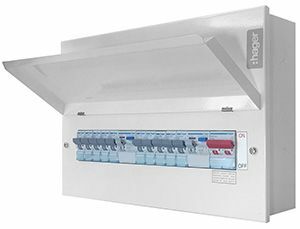 1982: Hager launches the first Residual-current circuit breaker (RCCB) in Germany. 1985: Hager establishes Hager Modula in Switzerland and Hager Powertech in UK. 1987: Hager manufacture 3kA MCBs for the first time. 1988: Hager manufacture 6 and 10kA MCBs for the first time. 1990: Opens new factory in Telford, UK and establishes Hager Electro AB in Sweden and Electro GmbH in Austria. 1992: Hager establishes Hager Systemer A/S in Norway, Hager SEM SA in Portugal and Hager Lume S.p.A. in Italy. 1993: Hager establishes Hager Electro in the Czech Republic, ​​​Hager Hellas in Greece, Hager Limited in Ireland, Hager B&R Ltd in Australia, Hager Electro Systems PTE in Singapore and Hager Electro Ltd in Hong Kong. 1996: Acquisition of Tehalit, inventor of cable trunking and European leader in its field with factories in Heltersberg in Germany and Bischwiller in France. 1998: Acquisition of Ashley & Rock in the United Kingdom, manufacturer of wiring accessories under the brand names Ashley and Klik. 2003: Start-up of an industrial site of 8,000 m² in Huizhou (China) with 350 staff in production and 150 staff in marketing. 2004: Hager Group announced the acquisition of Swiss Weber AG, a company that manufactures electrical power distribution equipment. 2010: Hager Group announced it had become sponsors of 1. FC Saarbrücken. 2012: Hager Group acquired Berker, a switch manufacturer based in Schalksmühle, Germany and ELCOM International, an Indian-based electro-mechanical business. 2015: Hager Group announced the acquisition of Bocchiotti. As well as announcing the opening of a new Corporate Forum in Obernai, France. 2016: Hager Group signed a strategic partnership with BRIEF-Bluelinea to create a joint company for the deployment of Bluelinea in Germany. 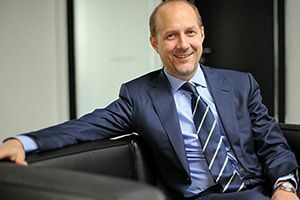 Hager Group also added Franck Houdebert as a new member of their board of directors.